Berkeley City Council voted unanimously Tuesday evening to divest from all U.S. Immigration and and Customs Enforcement, or ICE, service providers. The initiative, authored by Councilmembers Ben Bartlett and Kate Harrison, is a continuation of the council’s March resolution to divest city funds from companies involved in constructing a border wall between the United States and Mexico, as ordered by President Donald Trump. This resolution is also part of the council’s efforts to establish other “sanctuary city” policies. This decision means the city of Berkeley will investigate and dissociate from companies found to be involved with creating databases and registries that can be used to target immigrants and religious minorities. 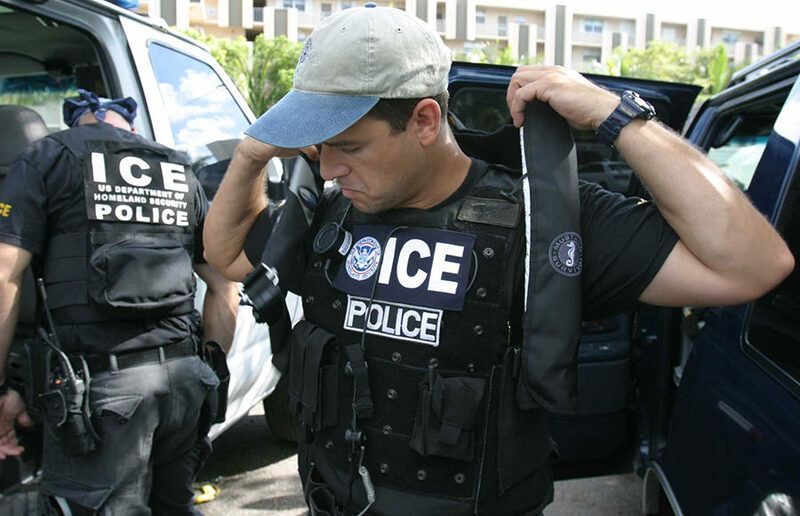 “Providing additional funds to US ICE would only help to further the xenophobic agenda of our current administration and put our community’s immigrants and religious minorities at even larger risk,” the resolution stated. Under current policy, city departments and officials do not have to comply with ICE officers who do not have a valid judicial warrant, and the city will not request or provide any information about individuals’ immigration status, according to Mayor Jesse Arreguín’s spokesperson, Karina Ioffee. The city reaffirmed its sanctuary city status earlier this year, and a task force was formed in order to help develop policies and programs to protect immigrant and undocumented communities, according to Ioffee. “No matter who our president is, everyone living in the Unite(d) States has certain basic rights under the Constitution, including undocumented immigrants,” Ioffee said in an email. Councilmember Kriss Worthington said the petition was well strategized. The resolution, he said, pushed the city to not only stand up against the border wall controversy, but also to go further by working against companies that support ICE. Worthington added, however, that because Berkeley is a smaller city, the impact of Tuesday’s resolution will depend on whether a larger city such as San Francisco or multiple smaller cities, such as Cambria and Ann Arbor, will adopt similar resolutions. According to Worthington, Oakland has already started to draft a similar petition. “If it does catch fire and it spreads, it could create some positive changes,” Worthington said. Besides the construction of a border wall, President Trump’s executive orders have included the creation of a travel ban against several Muslim-majority countries and the termination of Deferred Action for Childhood Arrivals. One of his orders also includes a promise to withhold funding from sanctuary cities. Campus junior Gibran Huerta said that because “change starts small,” Berkeley has the potential to spark a small policy change that will influence other cities. Contact Alicia Kim at akim@dailycal.org and follow her on Twitter at @aliciackim.